What is a Missy Jane prize pack? 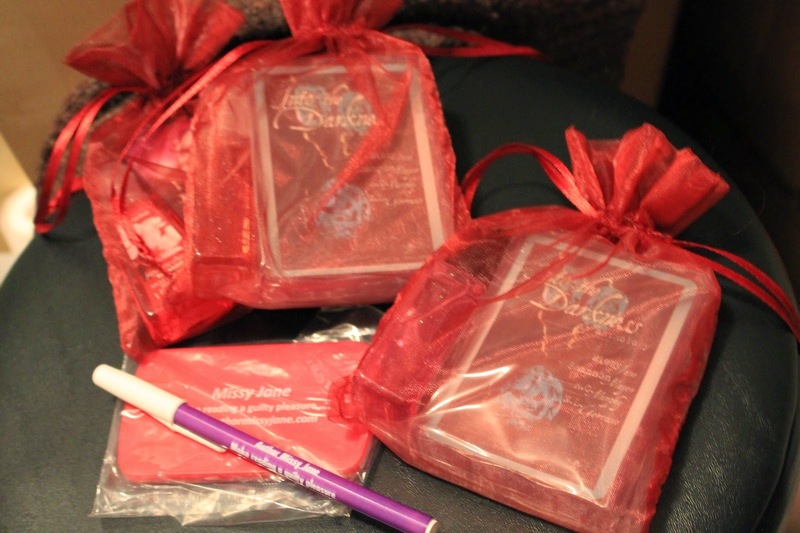 For some of the contests, both here and where I guest blog, you may see the prize listed as a Missy Jane prize pack. What is it? 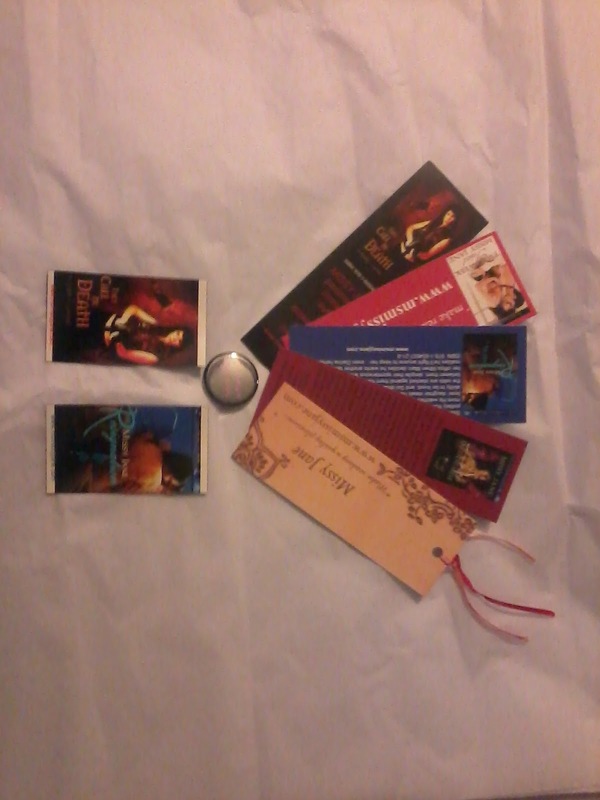 A combination of promo items (bookmarks, magnets, pin, etc) as shown in the picture below, as well as other trinkets I pick up from time to time. Updates on any current contest I’m running can be found on my Facebook page, or the Home page of this site. Sometimes my keeper shelf overflows and I decide to give away books by authors I read as well. These are USED paperback books in good reading condition. If that is the case, I will do my best to give the winner options on my current selection.